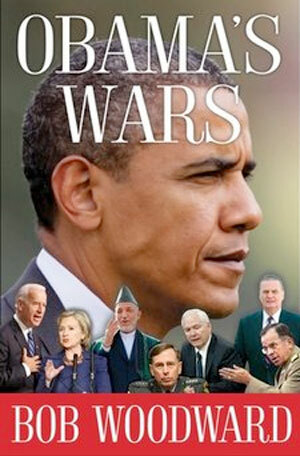 We do not know if Bob Woodward had meant to time it this way, but his latest book, Obama’s Wars, has hit the shelves exactly 14 years after Kabul fell to the Taliban, with Pakistani ‘security advisers’ present as the marauding hordes tortured, killed and mutilated the dead body of the former Afghan president, Dr Najibullah and chased the then president Burhanuddin Rabbani to Jabal-us-Siraj, outside Kabul. After talking to 100 key individuals, sifting through countless documents and 40 major interviews including one with President Barack Obama, Woodward has once again given an insight into the workings of the White House, one that has almost become a ritual for US presidents, readers and the grand old man of the Washington press corps himself. Impugning Woodward’s credentials as an investigative journalist, some, like Salon.com’s Christopher Hitchens and Andrew Bacevich, had called him the stars’ stenographer or the gossip chief. The fact, however, is that Woodward no longer has any pretensions to being the investigative journalist, who, along with Carl Bernstein, brought down a US presidency. He does not stake any claim to run-of-the-mill political punditry either. Over the past three decades, Bob Woodward has evolved into a contemporary historian with an unmatched knack and resources to have power players spill their guts to him. The information he presents might not be a journalistic scoop of the time-sensitive nature that geopolitical strategists can peg their forecasts on. But it still remains invaluable to the understanding of the thought process — along with its shortcomings — in how Obama will flesh up his drawdown plan. With this massive trust deficit in the foreground, Obama gave approval for a plan proposed by Joe Biden as “counter-terrorism plus”, which ultimately resulted in raising the 3,000-strong counter-terrorism pursuit teams trained to kill or capture terrorists inside Pakistan. Perhaps a coincidence that the question of hot pursuit came up this past weekend when the ISAF air strikes killed the fighters of the Haqqani network, on the Pakistani side of the Durand Line. While NATO may have softened its position from its earlier stance of using the ‘right’ of hot pursuit, Pakistani authorities will find it increasingly difficult to defend their untenable position in the face of intense pressure and scrutiny from the US in the months leading up to the July 2011 phased withdrawal. We are likely to see an increasing reference to the UN Security Council Resolution 1373, which states that the state’s sovereignty means that a state is duty-bound to control its territory and obligated to not allow its land to be used by non-state actors or terrorist groups to carry out attacks against its neighbours. This resolution, adopted under Chapter VII of the UN Charter and thus binding on member states, obligates them to “deny safe haven to those who finance, plan, support, or commit terrorist acts, or provide safe havens”. This past May, the Times Square botched terror plot nearly set the plan into motion. Leon Panetta, Lieutenant General Douglas Lute and General James Jones had conveyed in person the gravity of the situation to the Pakistani authorities on May 19, 2010 that, “if that happens, all bets are off”. At the time, the US delegation did not reveal that the response could entail bombing 150 sites! “1) Are there indicators that we (US) have begun to shift Pakistan’s strategic calculus and eventually end their active and passive support for extremists? Based on an assessment of these metrics, the progress of Operation Dragon Strike and the outcome of the November elections in the US, Mr Obama will make critical decisions about Pakistan, Afghanistan and his political and military teams, culminating in the Afghan strategy review. The US is not about to handover the keys to Kabul. Hopefully, the Pakistani establishment will reconsider its strategic calculus; living lies is incongruent with the geopolitical realities.